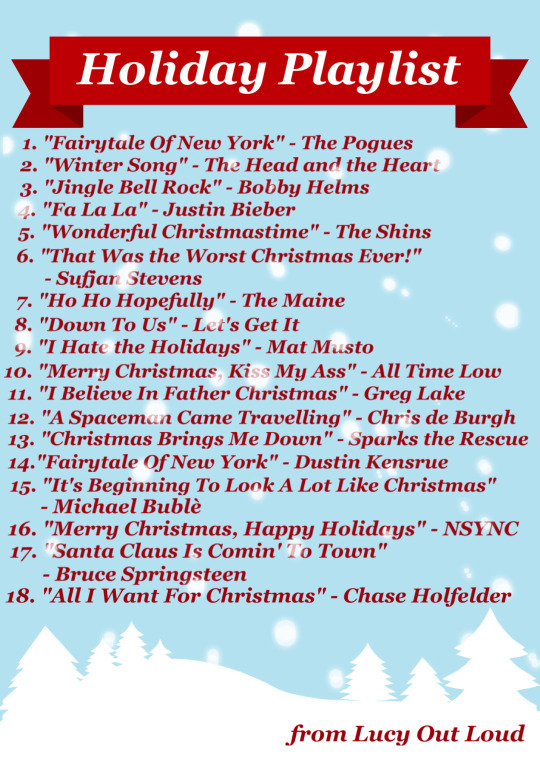 To celebrate the holiday season, our team at Lucy Out Loud has put together our favorite songs to listen to! A collection of songs from a variety of artists, we’re hoping this playlist helps get you into the spirit of the season, even when the weather outside is far from frightful. We here at Lucy Out Loud wish everyone a safe, happy holiday! Below you can find our full playlist, which is also available for streaming on Spotify here!